Hands up who would've thought "What Is Love?" 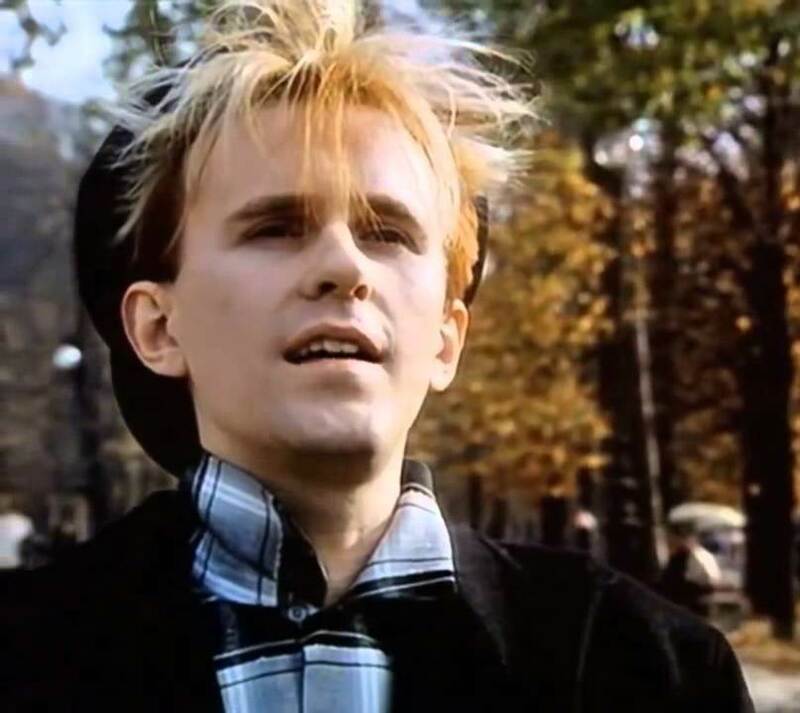 by Howard Jones was a big hit in Australia? Maybe I'm biased - we had a copy of his debut album, Human's Lib, in our house - but it seemed to get plenty of attention at the time and it's certainly one of those songs that has lived on since the mid-'80s, suggesting it did well originally. But no, as we'll see, it didn't even reach the top 30 - and is part of a list of songs, including "When I Think Of You", "Save A Prayer" and "Club Tropicana", that all weren't as successful as you (or maybe just I) would've thought. A song that was certainly successful was still number 1 this week in 1984. "Hello" by Lionel Richie registered its third week on top. The Human League's "The Lebanon" climbed to number 24 this week, while this debut single by the Perth band which featured Mark Lizotte (aka Diesel) on guitar covered similar topical terrain. Rick's biggest US hit since 1982's "Don't Talk To Strangers" was taken from Hard To Hold - the album and film of the same name. Rick starred in the movie as a rock star/ladies' man. Featuring Kym Gyngell (aka Col'n Carpenter) on keyboard, this Melbourne band almost made the top 50 with their debut single, but never progressed any further, dissolving after one album. The band otherwise known as The Specials had never been as big in Australia as in the UK - a form they maintained with this anti-apartheid anthem, a number 9 hit in Britain. The fourth and smallest of the girl band's charting singles in Australia was the lead release from third album Talk Show. It was also their last major hit in the US, where it reached number 11. She'd already released singles from Fame, Flashdance and D.C. Cab, and so you'd be forgiven for assuming (as I did) that the latest hit from Irene Cara was another soundtrack song, given it seemed custom-made for any number of breakdance movies that were out around the time. But "Breakdance", which was once again produced by Giorgio Moroder, appears to have been a missed opportunity on that front. Even without a soundtrack tie-in, the song became another top 20 single for Irene, but it would also be her final hit in Australia. His debut single, "New Song", missing the top 50 was regrettable, but there really was no excuse for follow-up "What Is Love?" to peak outside the top 30 on the ARIA chart. A much more deserving number 2 hit in the UK, the synthpop classic was one of the best songs of 1983 (released in Australia a few months later) and established Howard Jones as one of music's most exciting new pop talents. 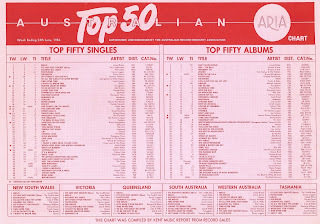 Australia eventually got with the program, although it took until 1986's "No One Is To Blame" for him to reach our top 10. We saw them return to the Australian chart earlier in 1984, but English glam rockers Slade really made their presence felt with this highland fling-meets-rock anthem. With its bagpipes, fiddle and thundering drums, "Run Runaway" is probably the most Scottish a band south of the border has ever sounded, while its call and response lyrics make it the ultimate sing-along standard. The rousing track enjoyed a 19-week stay on the top 50, becoming Slade's eighth (and final) top 20 hit locally, while in the US, it was their first (and only) single to reach the same section of the chart. Like Slade, The Pointer Sisters had charted earlier in 1984 with a song that'd return following the success of this week's new hit. Unlike Slade's "My Oh My", which didn't do any better second time around, "Jump (For My Love)" would end up being huge. Before that happened, "Automatic" was the song to bring Anita, June and Ruth back to the top 50 for the first time since "I'm So Excited" reached number 9 in early 1983. The last track added to the trio's Breakout album, "Automatic" was chosen as a single ahead of "Jump (For My Love)" in the US and became their biggest hit there since 1981's "Slow Hand". A slinky synth jam, "Automatic" featured some deep vocals from oldest sister Ruth and, in the Soul Train performance below, some of the puffiest, shiniest dresses ever known to man. So while Howard Jones struggled to get people to buy one of the best songs of the decade, his fellow countryman Elton John stormed back into the chart with what I have to say is a pretty average tune. One of his biggest hits of the decade, "Sad Songs (Say So Much)" did also happen to be Elton's first new release after he'd finished mining his excellent Too Low For Zero album for singles, which probably explains the fervour with which the song was snapped up. Fun fact: the music video for "Sad Songs..." was filmed in Sydney. Next week: the world's hottest duo make it even bigger with the lead single of their second album, plus a promising debut from a new Australian band. Great era for music. 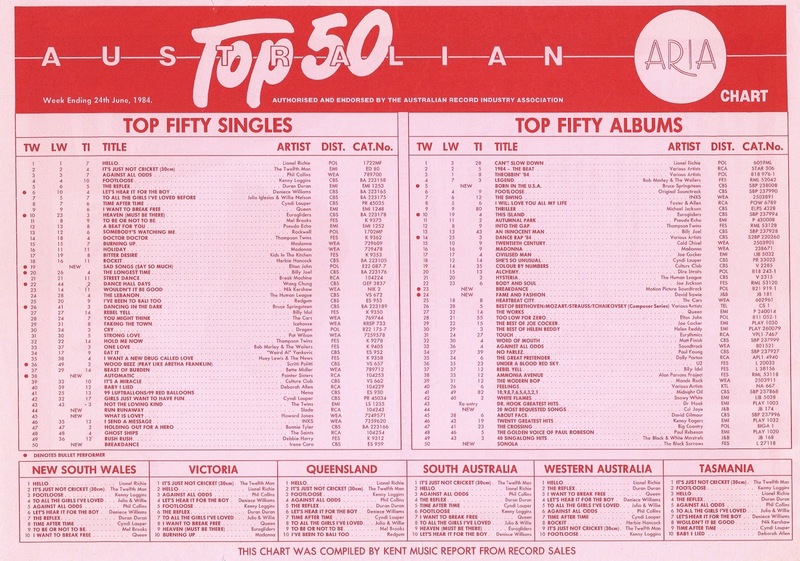 I remember collecting the ARIA chart every week from the record store. Wish I still had them. 'Songs that weren't as big as you would think' is a good idea for a future post, if you feel inclined to write it. There are several songs 'everyone' knows that you'd think were huge hits, but weren't. Though the only three I can immediately think of though are 'Khe Sanh', 'Easy Lover' and 'Edge of Seventeen'. Actually, 'Free Nelson Mandela' could be one of those - I knew it anyway (I think it was used in a TV commercial). Didn't know 'Love Somebody' but am surprised it wasn't a bigger hit. I never knew Col'n Carpenter was a musician. I've never understood why The Specials alternated between that and The Special AKA as their band name. I assumed they became The Special AKA after Terry Hall et. al. quit, but then recently saw that an early release with the Fun Boy Three members in tow was released under the AKA name. I hadn't heard 'Head Over Heels' or 'Breakdance' before, but like the latter in particular. I don't think I knew 'What Is Love?' at the time, only becoming familiar with it in the last few years, though it is a great 80s song. I love 'Run Runaway'. I am surprised they’re not Scottish.